Medal of Honour takes its first venture into the Modern warzone with this new title. The beta will be released to all who pre-ordered on the 21st of June; however, I got a sneaky look inside the Beta. 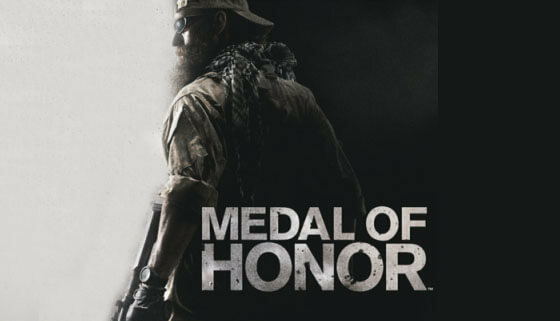 Being a veteran of the previous Medal of Honour games, I was interested to see what this game had on offer. Most people will compare this game to Battlefield Bad Company 2 or the Call of Duty series, predominantly the Modern warfare titles. You wouldn’t be wrong to do that. It’s a refreshing blend of what both games do well. CoD is known for its fast-paced action and that is certainly carried into this title. The controls in CoD are, I think, the reason for this, they are all on hand and where you need them to be. MoH uses a similar, if not identical, set up. This allows people to run and use the gun with ease. I did have fears that this would be a CoD clone and that’s not the case with the inclusion of features from BC2. If you own BC2 then you will notice that the heads up display is quite similar and the fact that the maps are fundamentally ‘open’ with no barriers around them, this leaves the battlefield feeling light and airy. It also feels like the character your playing has some weight and isn’t just gliding over the surface. A common feature in both CoD and BC2 were campers, I think that MoH has dealt with this quite well. In both the maps that I have played online I haven’t had problems with campers, I don’t really know what they have done, but it works. There are only two maps available to play in the Beta but that’s more than enough to experience the game. There is one map for each game mode, one of which you may have seen being demoed at E3. The team deathmatch mode is simple; each team tries to get a certain amount of kills within a time limit. The mission mode is an objective based game where you have to either destroy or capture points on the map. Quite a fun game mode to play as you can’t sit and camp right next to the objectives very easily; it forces you to become more tactical than CoD. The buildings seem to be designed in a very camper un-friendly way with more than one root in, often two or three that can’t be covered by sitting in a corner. The game has a sense of satisfaction when you kill someone that CoD just doesn’t have, it must be the fact that you’re not killing someone or dying every five seconds, that sounds bad but I think that the slightly slower pace gives you time to prepare for what’s around the next corner. Unfortunately, you don’t really get a lot of feedback from the sniper. Even if you get a hit you can’t really tell because there aren’t any spasms that help to indicate that you are, indeed, hitting them. Of course, there is the little ‘x’ on the HUD that appears when you hit but that just doesn’t feel right. It’s not helped by only having a Red Dot sight attached at the start of the game, this doesn’t allow you to zoom in to the extent of the scope and get a closer view of further away targets, which often leads to having to guess where they are and often wasting ammo. It seems fine on the quicker firing weapons or at closer distances though. There is always the hope of this being added in the final product. The game has a separate unlock system for each class, very similar to Bad Company 2. However, it just doesn’t have the same feel. In Bad Company 2 you were unlocking new weapons every few levels with a fair total for each class at the end of it. This game however only has three weapons for each class, including the weapon that class starts with. This seems rather limited and underwhelming to me. There is a huge range of weapons that could have been added into the game yet there are only nine different weapons in the whole of the multiplayer experience. Of course, there are vehicles to vary gameplay a bit, but it feels like they have been plucked straight from Bad Company 2. Maybe Bad Company 2 with its large maps, variation of weapons and optimised use of vehicles has spoilt us because it just feels like Call of Duty that has vehicles tacked on. I can’t say the graphics are bad because I have seen worse; however, the gun seems a bit ‘squared off’ and very polygonal. Another thing is the size of the muzzle flash, Its hugely excessive and covers a whole person if they are crouched down, this basically means its guess work to fire back at them which is a disappointment; however, the game does handle debris and broken objects nicely. I love the way that a 40mm grenade will cause a dust cloud after it explodes. It looks quite good and adds to the feel that the battlefield is a place of war not casual entertainment. This game also boasts semi-destructible environments. Not Bad Company 2 style but the objects that you would expect to be destroyed in any game can be destroyed in quite an impressive way. Of course, this is only a Beta and, hopefully, not what we can expect from the full game. There are bugs and glitches everywhere, plus a rather irritating freeze that tends to occur after about the second consecutive match. This needs to be sorted for the full release. I’m not majorly impressed by this title, I will keep open minded though, this is subject to change and improvement; it’s still quite a long way from the release. On full release, I wouldn’t be surprised if this gets around 75% from metacritic. That is going on the multiplayer, we don’t know what the single player will be like until the game lands but I have a feeling this won’t be the bombshell everyone expects it to be. Thanks people, I’ll be writing more soon so stay tuned! Thanks. This guy has written some great posts for me. Thanks for checking out the site. I always like to read this type of nformative post,plz keep posting to upgrade my knowledge. Thanks for the well-thought article. I’m actually at work right now! So I need to go off without reading all I’d like. But, I put your site on my msn feed so that I can read even more.